Visit our blogs to stay up-to-date with your favorite museum or the entire Center! 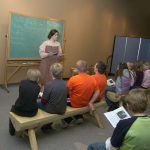 Events, programs, family fun, special exhibitions, new object acquisitions, and much more—keep up to date with the latest and greatest news from the Buffalo Bill Center of the West! 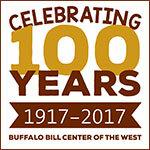 In this blog we share articles from the Buffalo Bill Center of the West’s Points West magazine. 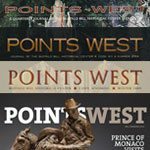 Enjoy the full range of topics related to the West as we post stories from recent issues, and even delve into the archives from the past twenty years. 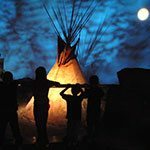 The Center of the West cares for an extraordinary array of objects that together help us tell the rich and authentic story of the American West, but each object has its own individual story as well. In Treasures from our West, we share our amazing collections with you in frequent posts focusing on one object and its unique story. Through a creative collaboration between the Buffalo Bill Center of the West and Wyoming Public Media, Multimedia Journalist Kamila Kudelska reports about the American West from Cody, Wyoming. 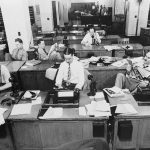 Our talented staff members, with varying jobs, diverse expertise, and interesting hobbies, share their observations on subjects near and dear to them, whether a project at the Center or an anecdote about living in the West. Enjoy these posts; just note that they are the personal perspectives of individual staff members, and not official representations of Center expertise or policy. 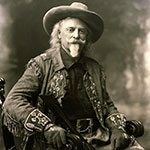 Our Buffalo Bill Museum is our flagship and has rich stories to tell not only about William F. “Buffalo Bill” Cody’s own personal history as a western man, scout, actor, showman, and entrepreneur, but also of the times in which he lived, his legacy, and the myth of the West. 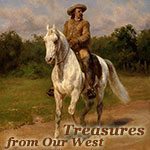 This blog shares Points West articles about or related to Buffalo Bill. Our Cody Firearms Museum houses 7,000 historically significant firearms and more than 15,000 related artifacts. We offer every visitor – from gun aficionados, to firearms novices, to those without previous firearms experience – a unique educational opportunity. 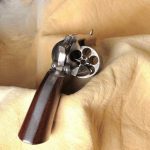 Firearms help inform the story of the West, the story of gun cultures, and the story of people. 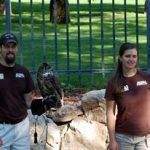 Want to keep up on all the latest news with the Draper Natural History Museum’s Raptor Experience? Check out our blog for interesting information on the program and raptors in general. Written by the staff & volunteers, you’re sure to learn something with each new post. 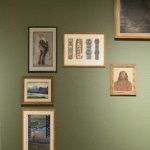 A blog about the collections, exhibits, and goings-on of the Whitney Western Art Museum. 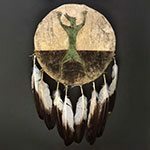 Through its collections, exhibitions, and programs, the Plains Indian Museum shares information about the cultures, traditions, and contemporary lives of Native peoples of the Great Plains. Our blog provides a glimpse into the topics we’re exploring. 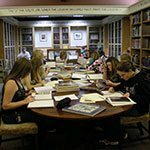 Find out what goes on in the Center of the West’s McCracken Research Library and get an insider’s look at the incredible photographs, archives, and manuscripts housed and processed by the library’s staff—who are still making some amazing finds within the collections. 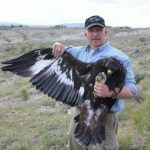 Draper Natural History Museum staff and volunteers conduct long-term ecological research in the Greater Yellowstone Ecosystem and keep up with all the wildlife and science news and issues related to this world-renowned, natural treasure. Keep up with Draper Museum fieldwork and Greater Yellowstone news and information here. What do our educators have to say? Read a blog about museum happenings and what they are doing to engage museum audiences. Looking for resources, lessons, activities, and fun facts to use in your classroom? Look no further. These blog posts are perfect for students and teachers to use as enrichment throughout the year.